Dorothy Woodhead saw an article in the Halifax Courier where Grand Central Railway were inviting applications to their Grand Designs Scheme 2016. 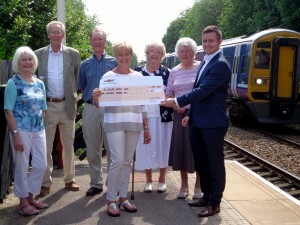 The competition was open to organisations striving to make a positive difference in the community, whose principal place of business was situated within a 10 mile radius of a station stop along the Grand Central Railway Route. 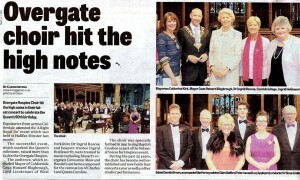 There was a fund of £3,000 in total, with 1 prize of £1,000, 2 prizes of £500 and 4 prizes of £250. We submitted an application describing the Choir, why we deserved to receive the funding and how the money would be used. We have been awarded £1,000! 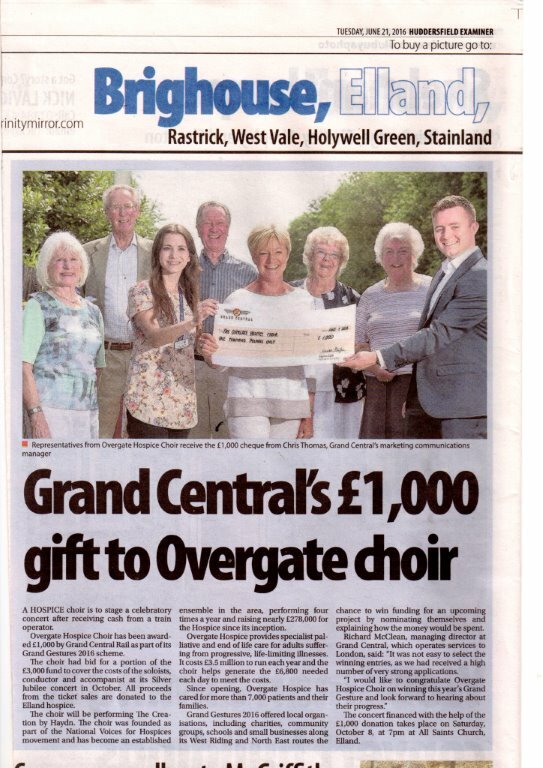 Grand Central said ” Overgate Hospice Choir stood out due to your dedication and commitment to improve and enhance your local community, by raising funds to provide palliative care to adults facing life-limiting illnesses in Calderdale through this concert”. The money is to cover the costs associated with our Silver Jubilee Concert, The Creation, on Saturday 8 October 2016. 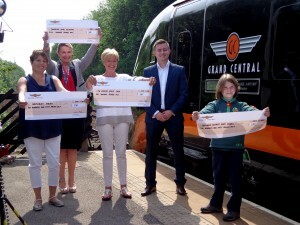 A presentation ceremony took place at Brighouse Station on Tuesday 7 June 2016 with the cheques being presented by Chris Thomas from Grand Central Railway.